Searching for garden gates in Manchester? Here at B&K Timber we specialise in producing the highest quality garden gates, made bespoke to your requirements. Garden gates can provide security for your property, but can also transform the look of your garden or property. Our garden gates are hand crafted from the highest quality Scandinavian slow grown, joinery graded redwood timber using a traditional mortise and tenon joint. It’s important to find a gate which meets your specifications on both functionality and design and so we stock a wide range of garden gates for you to choose from. You can browse through our range of garden gates by taking a look at our gate builder tool. Here we have gates which range from the simple lines of the garden Sherwood gate, through to the elegant lines of the Westport garden gate. Getting your perfect garden gates in Manchester is easy. Simply browse through our gates to find your preferred type, send us your measurements, view your instant quote and buy today! We’ve created our measuring guide to make it easy to get the right measurements to ensure that your garden gates fit perfectly. Delivery to the UK Mainland is completely free, and all of our drivers are employed by B&K Timber so that all garden gates in Manchester, Birmingham, Cheshire, and Staffordshire are delivered in the very best condition. 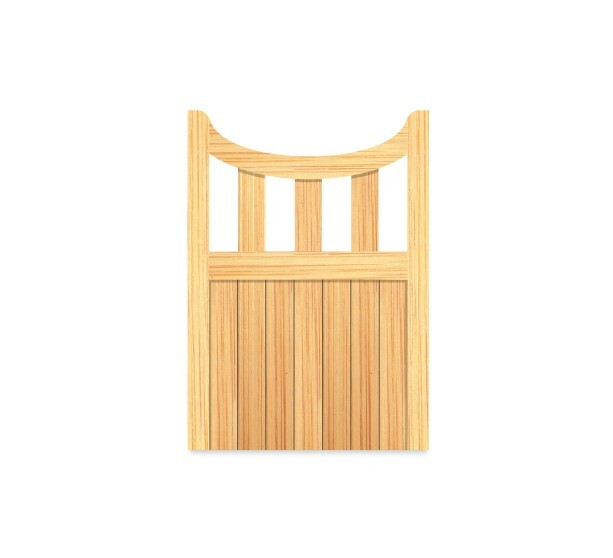 Buy Your Garden Gate Online! We pride ourselves on our workmanship, and ensure that each of our gates meets the highest quality standards. If you would like to learn more about our garden gates for Manchester then take a look at our gate builder tool, or get in touch with a member of our expert team – we’re on hand to help you! We all provide garden gates in Stoke on Trent as well as the rest of Staffordshire, Cheshire and Birmingham.